The presentation drew on my recent blog series on the issue (1, 2, 3, 4), noting that three things have taken place in Canada since the 2012 copyright reforms and the Supreme Court of Canada’s copyright pentalogy that affirmed the need for a broad and liberal approach to fair dealing. 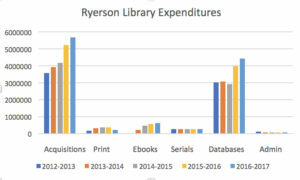 First, education spending on copyright materials has increased over the past five years, citing evidence from Dalhousie University, Ryerson University, and Statistics Canada. I also noted that there is far more transparency with respect to copyright spending with open data from CRKN and universities such as the University of Alberta. 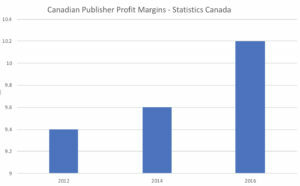 Second, Canadian publisher profit margins have increased over the past five years, citing Statistics Canada data on both profit margins and increased revenues for Canadian publishers from the educational market. Third, I emphasized that licensing remains the foundation of access in Canadian education. While fair dealing is essential, it remains a relatively small part of access strategies, with the vast majority of access coming from licensing and open access. 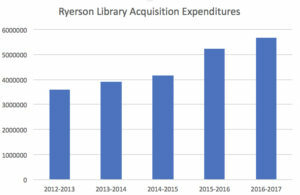 I cited specific data from the University of Guelph, which examined its course e-reserves and found that 54% comes through direct links from licenced materials, 24% open and free Internet content, 6% via transactional licences, and the remaining 16% under fair dealing. The University of Calgary examined thousands of course materials and found that only 8% relied on fair dealing. 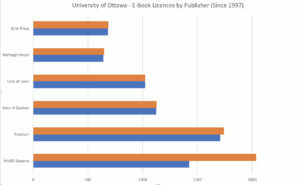 I earlier posted on the University of Ottawa’s investment in e-books, with 1.4 million licensed e-books with a great emphasis on Canadian e-books. The full presentation can viewed here. 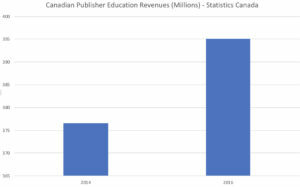 And fourth, despite expenditures on copyrighted material being up and publishers’ profits being up, under fair dealing independent Canadian creators are getting screwed. Something Geist refuses to acknowledge or show any concern for. And his own figures tell the story: at the same time as a cheque for a few thousand a year for the privilege of using an author’s work in the classroom – when the annual income of a writer in Canada is about 15 grand – what is now used for free under so-called “fair dealing” represents only 16% of the volume of course packs, meaning there are not significant cost advantages to the student user under fair dealing than not. This kind of material, paid at pennies a page until the present decade, was the best bargain in educational materials, and the only reason to do away with it was because of the success of a propaganda campaign by the likes of Geist and other libertarian anti-copyright activists aping the U.S., model, which is not economically viable here. It’s as simple as that. Nothing other than an anti-copyright agenda explains Geist’s furious assault on a quite benign system of providing a little extra income to generally impoverished Canadian creators on a user-pay basis. Geist doesn’t know the difference between library acquisitions and paying for the right to make copies of works already purchased (reproduction). But of course he does. He is simply conflating two separate budget lines because it suits his aims. The core of his logic is this: if I pay for 90% of the materials I need, I have the right to take the other 10% for free. Try this in any other market and see how far you get with it. As for me, copyright is a very ambiguous thing, because now in our country the concept of “copyright” is very vague, I can say this with confidence as a writer who every day is faced with some new text, and constantly stumble upon the fact that a lot of authors copy someone else’s text. And sometimes entire articles. Therefore, it is high time to properly regulate the author’s relationship, so that there are no such problems as with student Maxim, who was sued by the company for using their photos.